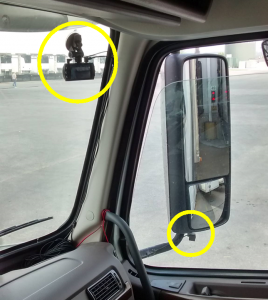 Today we will look at how installing a camera system to one’s fleet can have huge benefits when it comes to knowing what actually happened in case of an accident, or help in preventing thefts of vehicle parts. Accidents : In case of an accident especially when there is damage to the cargo, the fleet owner has no other way of knowing what actually happened other than the driver’s account. And the driver’s biased opinion can be of little help at preventing such a situation from occurring again. The benefits of having cameras that record each and every second of the vehicle movement are obvious here. One can know for sure if it was the driver’s or the vehicles fault, in which case the truck or trailer may need maintenance. Tyre Theft : Tyres of heavy commercial vehicles such as trailers, axles, etc can be very expensive in the range of Rs 15000 to 20000 each. And there is very little one can do to prevent tyre theft. 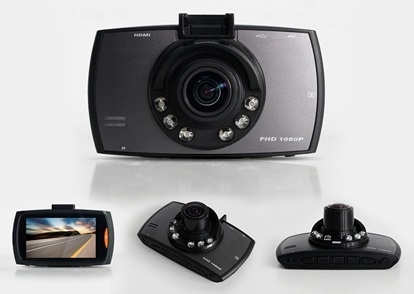 Cameras can act as a strong deterrent since most thefts happen with the involvement of the driver. And if the driver is aware of the camera system, it will probably not be worth losing a regular job. Other equipment Theft : Often times many fleet owners have the opportunity of renting out their trucks, trailers or hydraulic axles to other transporters. The risk here is that the vehicle may not be handled with care. Also, certain parts such as tie rods in hydraulic axle can easily be replaced with old or damaged ones. It is impossible to keep track of each and every part. But with cameras that are recording everything around the vehicle, renting out the vehicle should be much safer. Bribery : It is not rare for drivers to claim that they are being stopped by the octroi officer or the traffic police demanding to pay up fines for one or the other reason. The fleet owner has no way of ascertaining if the driver is really being stopped, and have no option but to pay up the “demanded bribe”. A dash cam can certainly help here. Of course, the driver can arrange for someone to play out an act, but it would be that much harder to pull off if the cabin also has a camera / mic arrangement. Bulk load theft : When loading items of bulk such as scrap metal, one of the concerns is that some of the material gets stolen along the way. Since it is not always possible to check the weight of the bulk at the time of loading and unloading, often times there is little that can be done to prevent such theft. However, any attempt to unload or take unapproved detours will be recorded by the camera. Driver Detours : When vehicles are hired on time basis, a practice of taking detours by some drivers has been observed. They sometimes arrange for the transport of some goods by themselves, keeping their employer out of the loop and all the profit to themselves, before returning on site. Such practices can easily be avoided with the use of cameras. Problems : Camera systems for trucks / trailers have to be weather proof. They also have to be secure, or else the first thing that might be stolen will be the cameras. Such requirements adds to the cost which is why most systems are expensive. Cameras themselves aren’t that expensive. If commercial vehicle manufacturers were to have an option that includes inbuilt cameras, most of these problems could easily be solved. These systems are not popular in India yet. However it is a one time investment that has many benefits. These can be expensive too, but i’m sure some indigenous entrepreneur can seize the opportunity and come up with a reliable cost efficient camera system.